Yoga is a holistic approach to live a healthy and fulfilled life. In today’s fast paced life and stressed environment, it has become an essential tool for people across the world. 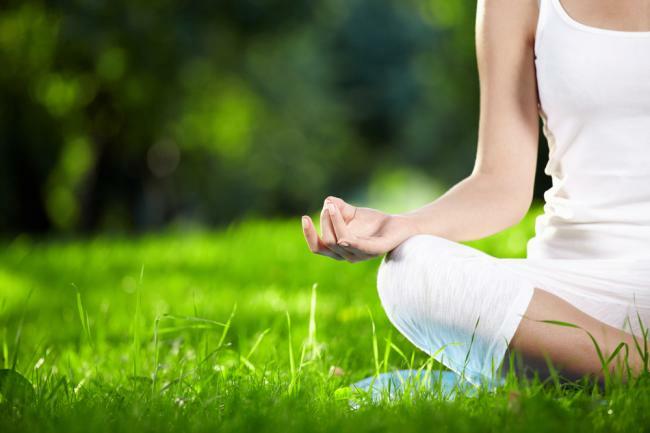 Regular practice of yoga not only ensures physical fitness, but also helps in mental relaxation and strengthening. Hatha yoga says that all (young or old, weak or strong) persons including athletes and sports person can learn and practice yoga. That means anybody can practice yoga after the age of seven. There is no restriction of caste, creed, religion, cult or country. The only rule is that it should be practiced daily as a routine and should be a part of your lifestyle. The basic lessons in yoga should be learnt in the beginning from an expert yoga teacher. Yoga practices for positive health in daily life includes Kriyas (Cleansing or Detoxification), Asanas, Pranayamas, Meditation, Relaxation, etc. Yoga is a part of life or we can say that yoga is way of life. Those who practice yoga as a daily ritual experience great deal of peace of mind and joy. Such people think positive and lead a happy life. Yoga has the potential to bring prosperity and happiness to anyone from any profession (students, working professional, sports person & athletes, Corporates World, etc.). Since yoga brings suitable changes in the behavioral pattern and the attitude of a person, his/her personal relationship at home and in the society are also improved. This is the reason why the world over, there is interest in yoga as a lifestyle. They have understood that yoga as a ‘means’ to manage stress and to lead healthy and happy life. Physical and mental cleansing and strengthening is one of yoga’s most important results. What makes it so powerful and effective is that is works on the holistic principal of harmony and unification. According to medical scientists, yoga therapy is successful because of the balance created in the nervous and endocrine systems and organs of the body. Yoga is especially important in an increasingly stressful society. Yogasanas remove physical discomfort accumulated during a day at the office sitting in a chair, hunched over a desk. Relaxation techniques help to maximize the effectiveness of ever-diminishing time off. WHAT PEOPLE THINK ABOUT YOGA? People think that yoga is just a physical exercise but yoga is far from simply being that. It is an aid to establish a new perception of what is real, what is necessary and how to become established in a way of life which embraces both inner and outer realities. Physical exercise is only one part of yoga. First, yoga works on both your internal as well as external organs (as compared to physical exercises that only work on external). For example, when one does paschimottanasana (forward bending, head to knee posture), hamstring is stretched and hip area open up completely, and internal organs like the spleen, stomach and intestines are kneaded, due to which there is an additional flow of blood to nerves and muscles. This aids in them functioning better and makes one healthy inside out. Second, yoga teaches us the right way to breath and to control breathing. It connects with basic and fundamental aspects of daily life. Regular practices of Pranayama (breathing technique) regularly and properly can control aging. Third, yoga propels one on to the path of self-realization. With regular practice one can understand them better and learn to control their anger as well as various negativities and urges. Fourth, there is a popular sentence in the recent days “ you can lose your weight from yoga” or “yoga for weight loss”. Regular yoga practices help people to lose weight and makes fit, and emotionally and physically more attractive, an aspect everyone craves for. Fifth, yoga consists of certain inverted postures or asanas, in which blood flow to the head and other areas increases. Such inverted postures are unique only to yoga and do not form a part of any other form of exercise. When blood flow is directed towards these organs, it gives extra glow to the face and the skin. Such exercises can even cure ailments such as migraine, sinusitis, asthma, back pain, knee pain, cervical spondyloisis, arthritis, etc. Lastly, and most importantly, yoga can change the shape of your body. Often I come across people who are slim, yet not satisfied with their bodies. Regular practice of yoga can change that. If one is a sports person or athlete, yoga can help them do better in their area of sport. It increases flexibility, is a good form of stretching and relaxes body & mind, etc. Understanding one body leads to addressing specific areas of difficulty and injury, treating while reducing further risk of injuries. Losing or gaining weight, and looking healthy & beautiful is all in one’s hands if yoga is incorporated in to daily routine and practiced. It is a habit that one has to adopt and make it part of lifestyle. One doesn’t need much, just about an hour a day to stay healthy, young, and beautiful. Surely one can take an hour out for oneself. All of us can. ‘Stress’ is an outcome of the modern lifestyle. It is produced out of dissatisfaction; frustration and dejection when there is negative interaction between the self-projection and the adverse internal as well as external environmental conditions. At present, the human existence is challenged by STRESS disorders, or the psychosomatic diseases, such as hypertension, hyperacidity, insomnia, heart diseases, diabetes, asthma, etc. Although, the system of yoga is not developed for the purpose of treatment, it has been observed through applied research that regular practice of yoga not only controls these diseases but also promotes and maintains healthy state of body and mind and, prevents diseases. Yoga is not an alternative to conventional therapy but it definitely supports the healing process. Today popularity of yoga is mainly because of its therapeutic value. Yoga has a potential to tranquilize and balance the mind, which is the key in management of “Stress” Disorders. To understand and learn yoga, its effects and positive balance of life, guidance of a learned teacher is a must. Once practice becomes part of one’s daily life, in depth knowledge of yoga, benefits of each asana, why and how it is done, effective pranayama practice and other area of yoga life are elements of yoga one must try to learn, which eventually enables discipline in yoga practice. In the follow up articles, asanas will be discussed in depth, and relevance of each in reference to popular ailments will be brought to light. Author of this article, Mr.Ranjay Kumar, our wellness and yoga consultant, is a trained yoga teacher, and teaches individual clients and corporate classes. He professes importance of yoga during each class through theoretical knowledge and addresses individual needs and ailments. Editor’s note: Author of this article is Ranjay Kumar, a qualified, practicing yoga teacher, currently teaching/guiding those seeking to learn and practice yoga for health, sports persons who are looking for a well-rounded training program, and conducts group classes for corporate clients.To ask him questions related to this article, please use the comments box below. He offers paid consultation as well. To seek his consultation or advice, please write to him at live@globeracers.com.